Terry McGuire is a professor and vice chair in the department of genetics at Rutgers University. He obtained his B.A. from the Ohio State University and his Ph.D. from the University of Illinois at Urbana Champaign. 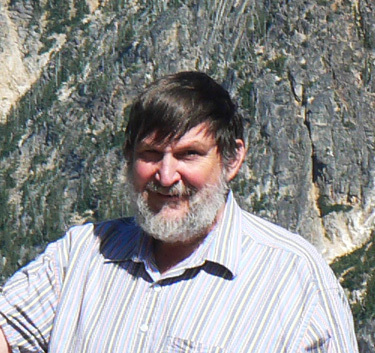 He has published in many different areas including Mendelian and mathematical genetics, behavioral and neural genetics, and ecological genetics. He has designed and taught a wide range of courses within the department of genetics. Terry has been an active participant in the SENCER project. He first participated as an advance team member (SSI 2002), and has brought four teams from Rutgers University (SSI 2003, 2004, 2007 & 2008). He was appointed as an SENCER senior associate in 2004. He is the author of an SENCER backgrounder describing his journey as a professor. With Monica Devanas, he is co-director of the SENCER Center for Innovation – MidAtlantic, With Jeannette Haviland-Jones (SSI 2003), he is co-director of the SENCER Consortium for the Assessment of Student Achievement (CASA). In addition to his work with SENCER, he is a BEN (BioSciEdNet) Scholar. At Rutgers University, he was recognized for his distinguished contributions to Undergraduate Education in the School of Arts and Sciences . and he was appointed as a Presidential CASTL Fellow. In 2007, he was appointed as a lead editor of the new online endeavor Nature-Education with primary responsibility for Gene Inheritance and Transmission.